Twenty-two years after the Srebrenica massacres, direct perpetrators of mass killings of Bosniaks at several lesser-known execution sites have still not been charged or put on trial. Read more. Serbia’s Orthodox Church and the ruling political elites continue to maintain a close alliance that has brought benefits to both sides. Read more. The recent snap election failed to fix Kosovo's political deadlock, raising questions about the formation of a new government and continuation of reforms. Read more. Results have been certified. Good work to @KQZKosova for following through on mandate. This was #Kosovo's most successful election to date! An Albanian journalist from TV Klan’s investigative television programme “Stop” was physically and verbally attacked by Mirela Topulli, the administrator of Euroteam, a company that deals with recycling of hospital waste. The incident, which was recorded on camera and broadcast by TV Klan on Monday evening, happened while the journalist involved, Genci Angjellari, was investigating alleged illegal dumping of waste into the Erzen river at a location near Albania’s capital, Tirana. 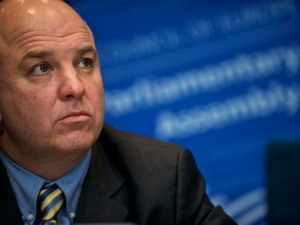 Nils Muiznieks, the Council of Europe's Commissioner for Human Rights, called the Croatian government on Tuesday to take another look into the proposal on the law on the ombudsman for children's rights, which both the chief ombudsman and the current ombudsman for children's rights have advised amendments for. 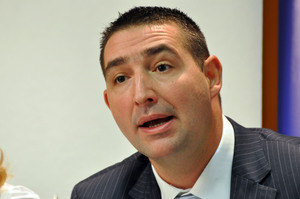 After the Constitutional Court decided in March that the law is in not in compliance with Croatia’s constitution, Muiznieks expressed his fears that the new law may endanger the independence of the position of the ombudsman for children. During Monday’s 15-minute telephone conversation with the new Macedonian Prime Minister Zoran Zaev, US Vice President Mike Pence underlined continued US support for Macedonia's Euro-Atlantic aspirations and encouraged Zaev to prioritise reforms that will advance Macedonia on its chosen path, the White House said. Serbian Tax Administration has blocked the bank account of Adria Media Group, publisher of Kurir daily tabloid that recently started criticizing President Aleksandar Vucic, over an alleged tax debt. The company is accusing the government of trying to shut down critical voices. “The regime of Aleksandar Vucic is putting pressure on the Tax Administration and abusing the institutions, which are trying too financially ruin Adria Media Group,” the company said. Hague Tribunal President Carmel Agius told the commemoration event for the 22nd anniversary of the Srebrenica massacres on Tuesday that “the denial or distortion of history is an intentional assault on truth”. Agius said that genocide in Srebrenica “is so well documented, established by two UN international courts and scientifically supported, that you will never be able to succeed in hiding the true nature of this genocide”. 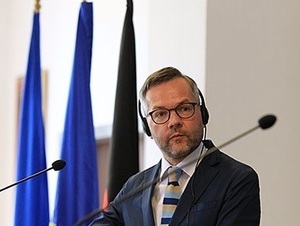 Macedonia is on the right track but now needs reforms and reconciliation after the long-standing political crisis, Germany’s Minister for Europe, Michel Roth, said on Tuesday during his two-day official visit to Skopje. “Please work together, cooperate in the interest of the country. The process of transformation on the road to the EU is difficult, but it will ultimately make people more hopeful for their future,” Roth said after speaking to Macedonian Prime Minister Zoran Zaev and Foreign Minister Nikola Dimitrov. Bulgaria has dropped 19 places to 84th spot in the 2017 International Property Rights Index, developed by the global Property Rights Alliance, which monitors three main spheres: legal and political environment, right of physical property and intellectual property rights. In terms of the Balkan region, Bulgaria, Romania and Croatia top the ranking of 127 countries with 84th, 72nd and 85th place, while Serbia, Albania and Montenegro have fallen outside the top 100. 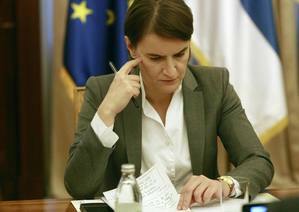 Bloomberg news agency said it fully stands behind the interview it published with Serbian Prime Minister Ana Brnabic, in which she was reported to have said that if she had to choose between the EU and Russia, she would choose the former, Serbian media reported on Wednesday, quoting Danas daily. After the interview was published on July 4, Brnabic said she was “interpreted wrongly” and handed over the full version of the interview to the Russian ambassador in Serbia. 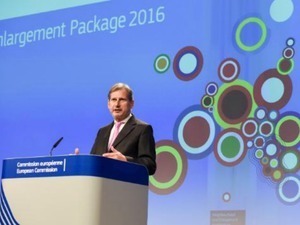 Brussels wants the Western Balkan countries to become EU member states, one of the key reasons being to keep young people in their countries, EU Enlargement Commissioner Johannes Hahn said in Trieste, Italy, on Wednesday. Speaking at a Western Balkans Six Summit, held as part of the Berlin Process, Hahn said this would reduce tensions from the past. Serbia’s former Minister of Environment, Oliver Dulic, was sentenced on Wednesday to three and a half years in prison for official misconduct. 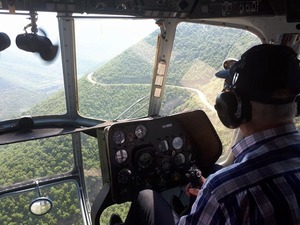 A first instance court found that Dulic, who served in the Democratic Party-led government from 2008 to 2012, ordered his aide to issue construction permits to Nuba Invest, even though the company did not have all the required paperwork. Dulic announced that he will appeal the verdict. Each summer, the Kosovo diaspora continue the tradition of returning home to marry, visit relatives – and hopefully spend a lot of money. Read more. After ordering his MPs to take a listening tour - and after examining people's comments on his Facebook page - Prime Minister Edi Rama has started naming and shaming those who are giving people a hard time. Read more. A group of Yazidis from Iraq joined commemorations in Bosnia for the 1995 massacre of thousands of Muslims, calling for atrocities against their community by the Islamic State to be recognised as genocide, the New Arab reported on Thursday. The Yazidi activists said they hoped to use the experiences of families in Srebrenica to build cases against IS militants which could be used in international criminal courts. "We urge the international community that just like in Srebrenica it helps open mass graves and build cases because we fear that traces of the crime might stay hidden," said Basma Naji, who fled Sinjar just hours before the attack. Tuesday's commemoration marked 22 years since the killings at Srebrenica, with 71 newly identified victims buried at a cemetery near the town, bringing the total number interred to 6,575. 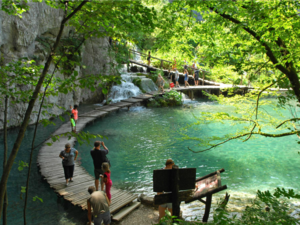 UNESCO has decided not to include Croatia’s Plitvice Lakes National Park on its list of endangered World Heritage sites, Croatia’s Environment Protection Ministry reported on Wednesday. However, the Ministry reported that UNESCO will reconsider its decision next year, if immediate measures are not taken to regulate the massive number of tourists coming to the lakes, as well as the extensive construction of apartments and hotels, and the poor quality water and sewer system. 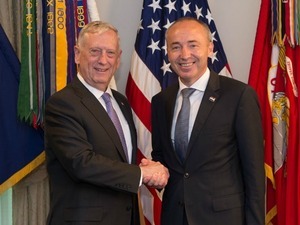 US Secretary of Defence James Mattis praised Croatia's successful 1995 military operation 'Storm' against Croatian Serb rebels as the one that "changed the course of history" during a meeting with Croatian Defence Minister Damir Krsticevic in Washington on Wednesday, adding that it is even considered by US military academies as an example of "well-prepared and [well] executed military operation". 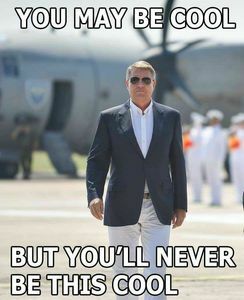 Although acquitting Croatian generals Ante Gotovina, Mladen Markac and Ivan Cermak in 2012, the International Criminal Tribunal for former Yugoslavia, ICTY, has established that massive war crimes against Serb civilians took place during and after the operation. 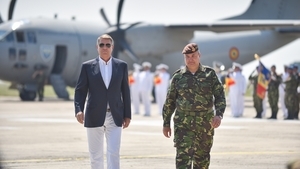 Romania's president Klaus Iohannis triggered a wave of admiration on social media after wearing a light jacket and sun glasses during a visit to a NATO air force military base in south-eastern Romania on Thursday. 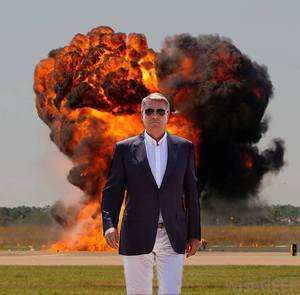 One of the memes on social media by Marius Sorin Danga/Facebook. Croatia’s Ministry of Defence reported on Thursday that it will send requests next week for the purchase prices of fighter jets from Sweden (for Gripen JAS-39), South Korea (for FA-50), the US, Greece and Israel (all for F-16s). If everything goes according to plan, the ministry estimates that the first jets, from whichever country it decides to buy from, will be transported to Croatia by the end of 2020. Albania Police conducted a mass anti-drug operation across the country overnight, seizing tonnes of cannabis in warehouses ready to be smuggled, with local media reporting that 15 tonnes had been found in the central coastal town of Vlore alone. As part of the country’s war on drugs, police are working on identifying and destroying cannabis plantations, as well seizing the harvests that have been stored from previous years. 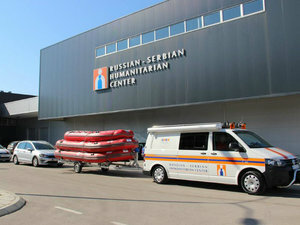 The USA Embassy in Serbia said that press release of the Serbian-Russian Centre in Serbian souther city Nis, after the visit of the USA official, was not coordinated with U.S. Embassy, not does it reflect USA views. "U.S. representatives were briefed on the current functioning of the center, but saw nothing in the activities that were shown which would indicate a need for diplomatic status. The consistent demands for inviolability for the personnel and premises of the Center only raise question regarding long-term intentions for the facility," the Embassy told BIRN on Friday.